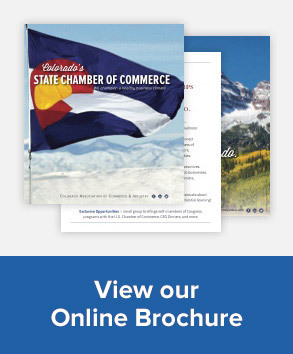 DENVER, Jan. 23, 2019 — Colorado’s economy continues to lead among other states’ nationally, according to a business report released today by Secretary of State Jena Griswold. New business entity filings grew increased by 5.1 percent in the fourth quarter of 2018. Over the final quarter of 2018, 28,473 new businesses filed with the Secretary of State’s office, and there were 134,220 business renewals. These represent slight decreases compared to the previous quarter but were consistent with the seasonal pattern. The Business Research Division at the University of Colorado Boulder publishes the report using data from the Secretary of State’s central business registry. The report looks at a variety of factors, such as energy costs, the labor market, and inflation. The quarterly business and economic indicators report predicts continued employment growth into the first and second quarters of 2019. Initial and continuing jobless claims in Colorado increased over the quarter, but still marked an improvement year-over-year. In November 2018, Colorado added 69,100 jobs when compared year-over-year, a growth of 2.6 percent. Data from the Bureau of Labor Statistics shows that average Colorado wages increased by 5.3 percent compared to 4.1 percent nationally. Average wages in Colorado were $57,858 compared to the national average of $56,374. Colorado’s labor force participation continues to climb and remains a leader nationwide. At 69.1 percent, participation rated third in the country and six percentage points higher than the national rate. The state’s economy continues to record strong growth in employment, personal income, wages, and GDP. However, business leaders expressed a bearish tone looking ahead two quarters. They were decidedly negative about the national economy but remained slightly positive about the state economy, industry sales, profits, hiring, and capital expenditures. Each Council will meet at Noon at the Colorado Chamber of Commerce office throughout the session. Lunch is served at each meeting. Sponsorship of council meetings by our members is crucial to maintaining the practice of providing lunch during these important council meetings. We need sponsors for every meeting, so we would like to encourage members to sign up now to sponsor a lunch! Sponsors receive recognition in both email reminders for the meeting and our online Events Calendar, as well as during the meeting. The Colorado Chamber of Commerce does all of the ordering and setup of the lunch and the sponsorship is always a flat rate of $600. Please contact Laura Moss for more details or to sign up as a sponsor. We appreciate your ongoing support! Please see the below for specific dates for each council. Councils always meet from Noon to 1:15 p.m. in our conference room at 1600 Broadway, Suite 1000, Colorado State Bank Building.